Listening is extremely important to be able to learn English. You can listen to audios, videos, watch a radio program and do so many other things in order to improve your English. It will help you to improve your pronunciation, correct your grammar, increase your vocabulary, etc. 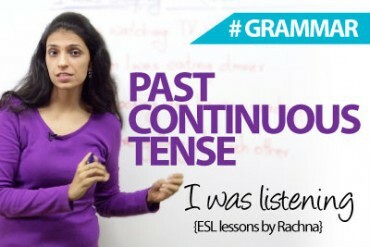 In this English lesson you will learn few tips and ways to listen and learn English. Find an English language drama or comedy that seems interesting and start watching it. This will help you to increase your vocabulary, improve pronunciations, learn new styles of talking, intonation, etc. If you try to listen to a clip on low volume it will help you because you will be more focussed and try harder to listen to what the person has to say. You can’t always control how loudly the people around you speak. It’s a good thing to listen to what people are saying, even when the volume is low. Record yourself speaking English using your phone or any other device. Play it back and listen to your own pronunciation. Correct any mistakes that you notice and try again. By listening to yourself, you can find problems in the way you speak. If you continue to listen to yourself repeatedly, you can also track your improvement. Listen to a song and try to write the lyrics. When you are done, check the actual lyrics online. Listening to the lyrics of a song can be really hard. However, this will help you to practise your listening to a great extent. Try listening only to the stress: which words or parts of words do the speakers pronounce more loudly. When you use the wrong stress, it’s hard for someone to understand you. It can even change the meaning. For example: when you stress on the first half of the word: address it becomes a noun so you would ask someone what is your address? But when you stress on the second part (address) it becomes a verb which means to talk to a group. Sit along with your friend and listen to an audio clip. Talk with each other about it. Then try again. You can correct each other’s mistakes and help in learning better. Listen to something and just focus on the numbers. Write down the numbers you hear. Sometimes you really need to listen to the numbers and not just the words someone uses for example a contact number or an account number especially over the phone and practising this will really help. It is very helpful to listen to an audio in English and listen to the pronunciation and explanation of the sounds of English. There are many such videos that you can find in the description of this video itself. 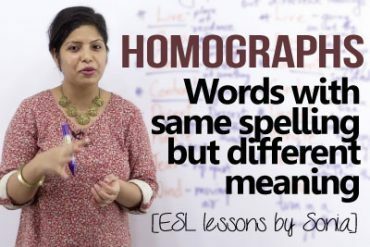 It’s great to know the Basic English vowel and consonant sounds, so that you know what to pay attention to when you listen to someone speak in English. Find a recording of two people talking to each other and start listening to it somewhere in the middle of the audio. Try to understand the topic of conversation as fast as you can. Once you have understood, skip to the next point. This will help in understanding the entire conversation. You won’t always join a conversation at the start. This is a good way to practice the skill of understanding wherever you join the conversation. Try to listen to someone who’s speaking more quickly than normal by changing the settings in this video for example. Pause in between each sentence to allow yourself to understand better. It’s tough to understand fast speech, but if you can do it, slower conversation will seem so much easier! Previous Previous post: How to correct someone politely? Next Next post: How to be Approachable socially?